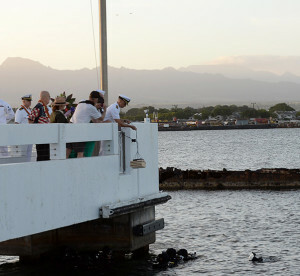 Navy Master Chief Allen Keller, command master chief for Joint Base Pearl Harbor-Hickam, Hawaii, lowers the ashes of Harry Hohstadt into the waters of Pearl Harbor during a double interment ceremony at the USS Utah Memorial as part of the 76th anniversary of the attacks on Pearl Harbor and Oahu, Dec. 6, 2017. 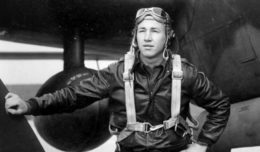 A sunset ceremony is held at Pearl Harbor every year to pay tribute to the crew of the battleship USS Utah, and often, to inter the ashes of recently deceased sailors who survived the ship’s sinking 76 years ago, so that they may be reunited with their shipmates already entombed inside the sunken vessel. Service members, families and friends gathered at sunset around the USS Utah Memorial on historic Ford Island to honor victims of the Pearl Harbor attacks with a ceremony and interment service Dec. 6. 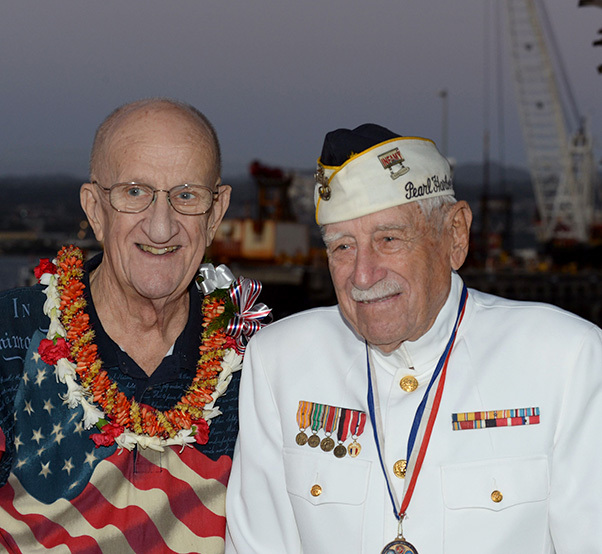 Jim Taylor, the Pearl Harbor survivor liaison for Commander, Navy Region Hawaii, left, poses for a photo with Gil “Wally” Meyer, a Pearl Harbor survivor, during a double interment ceremony at the USS Utah Memorial in Pearl Harbor, Hawaii, as part of the 76th anniversary of the attacks on Pearl Harbor and Oahu at Joint Base Pearl Harbor-Hickam, Dec. 6, 2017. 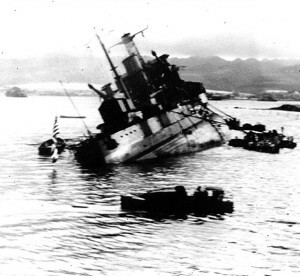 The battleship USS Utah heels to port at Pearl Harbor, Hawaii, Dec. 7, 1941. 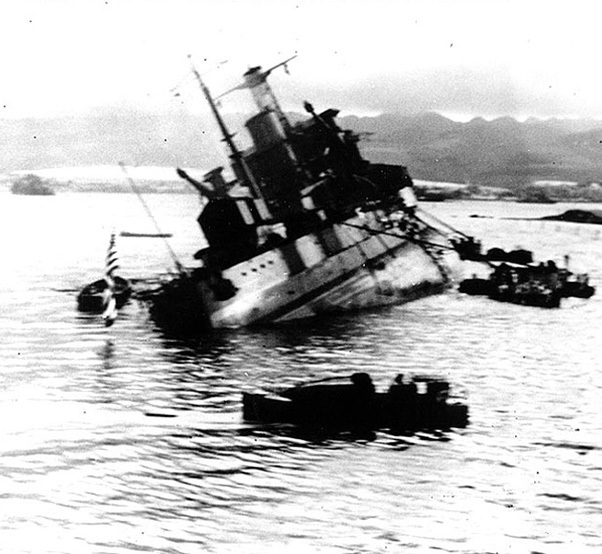 The Utah was struck by two torpedoes in the first minutes of the attack and quickly capsized.